Is there such a thing? Sure. But each of us is different. Our individual bodies have individual needs, tolerances, and even cravings. Some food and nutrition basics apply to us all however. If we follow basics and good instincts our normal diet will be fine; if we tweak it a bit, our normal eating habits will even let us lose weight. AND we can eat some of our absolute favorite, not to mention decadent foods! As a devoted fan of non-fiction, I’ve read dozens upon dozens of works focused on health, nutrition, and diet. I’ve typically believed some of what I read and then the rest with a large grain of salt… okay, a nice, coarse, organic sea salt, to be precise. I love seeing increasing numbers of doctors, scientists, and nutritionists in agreement on more and more of what I call the basics. Someday, even our United States FDA will catch up and redesign the standard food group pyramid to reflect modern knowledge and nutrition reality. Sugar is just plain poison. Avoid all hydrogenated and partially hydrogenated fats. Period. Skip wheat whenever possible. (When impossible, opt for 100% whole grain rye or sprouted wheat.) Flour is more responsible for gumming up both digestion and circulation than saturated fat. Eat and enjoy real 100% butter. Don’t let margarine, butter blends or substitutes pass your lips. 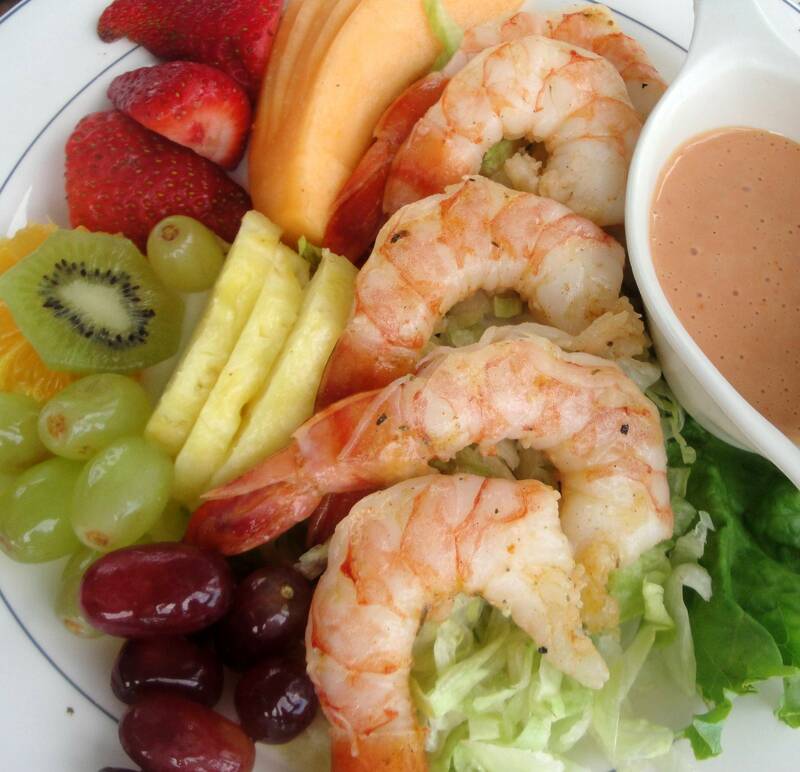 Eat a wide variety of different colored vegetables and fruits, especially berries. Eggs are good for you AND for your cholesterol… especially the yolks. 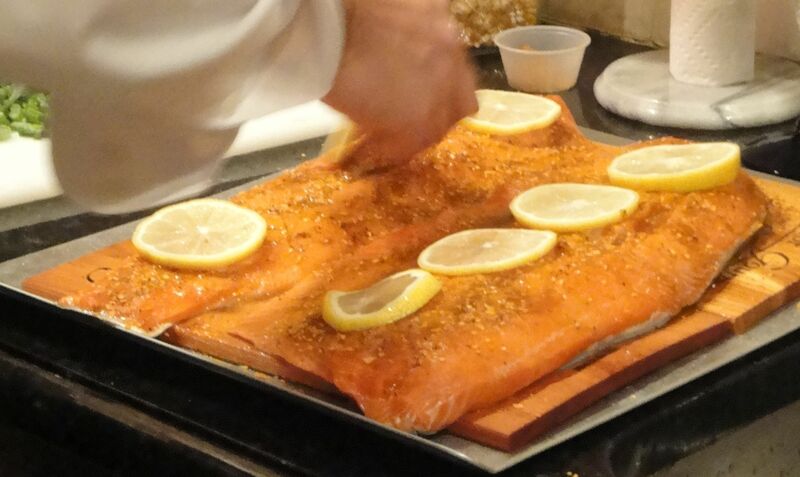 Choose wild fish and seafood and organic meats, poultry, and produce whenever possible. Our bodies get zero benefit and PLENTY of harm from the hormones and chemicals used commercially. Drink water… lots of it, but filter out chemicals like fluoride. Take natural vitamin and mineral supplements. 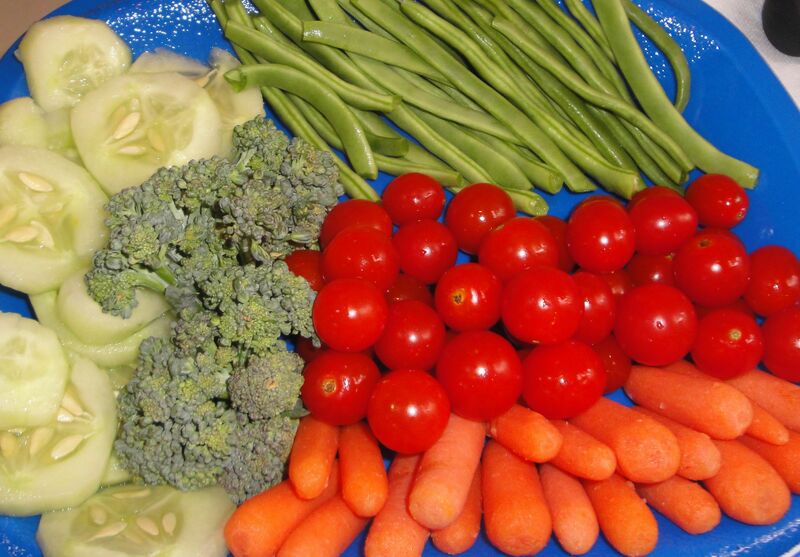 Even if you eat great food, the nutrients just aren’t there any longer. You’ve probably heard such remarks as we’d have to eat 10 oranges to get the nutrients our grandparents got in 1. Avoid prepared, packaged diet foods. They’re typically loaded with over-processed ingredients, chemical sugars, and unidentifiable substances you would never knowingly choose to eat. I know I feel better when I eat several small meals… grazing as it were… rather than gorging on a huge dinner. I know if I’m eating rice, brown, long grain & wild are far better than white. I know there are great nutrients and fiber in skins, so I don’t peel potatoes, apples, peaches, etc. Woah! All these basics may have you thinking that My Perfect Diet will leave you craving all the good stuff. On the contrary. I don’t miss the bread at all when I’m enjoying a loaded baked potato with dinner. I don’t miss the pasta when I’m devouring all the seafood or veal or whatever entrée I want. I easily skip the morning cereal and simply savor a big bowl of berries. I pass on cookies and candy, but I get to enjoy popcorn with real butter. I fry food. I just use organic coconut or peanut oil. 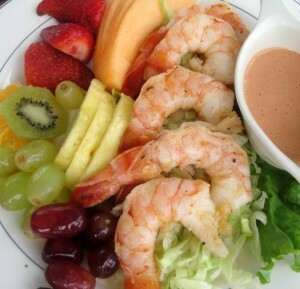 I eat a full range of whatever main dish I want, from fish and seafood to beef, poultry, lamb, and pork. I love fresh vegetables, both raw and cooked all sorts of ways. 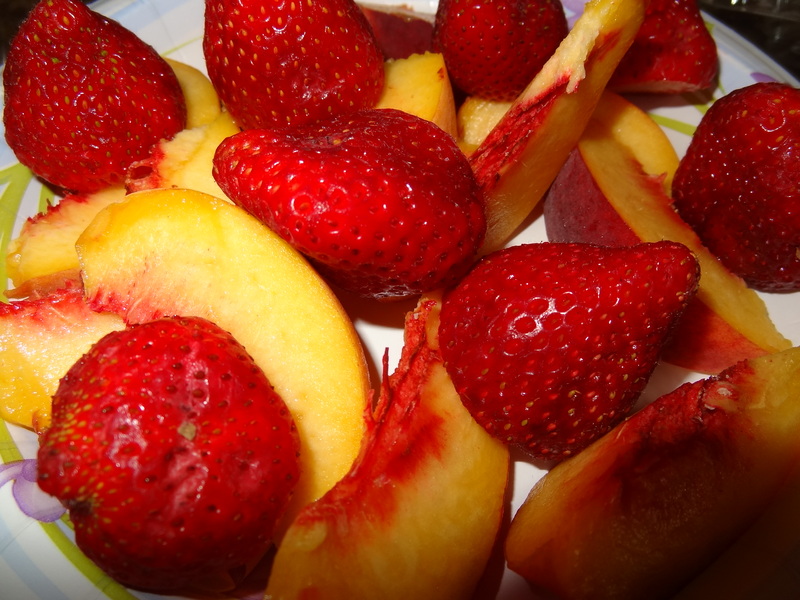 I enjoy as much fresh fruit as I want. I nibble on organic nuts and seeds and berries. A favorite snack is 100% corn tortilla chips with zesty salsa. 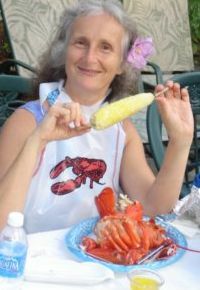 My sister, Deborah, enjoying corn on the cob and steamed lobster! When you reach the weight you want, start to slowly phase starches back in to make you satisfied but not overstuffed… or overweight. Most importantly, keep smiling. Life is way too short to get too worked up over junk. Enjoy each day… with love and laughter. This entry was posted in To Our Health & Fitness!. Bookmark the permalink.